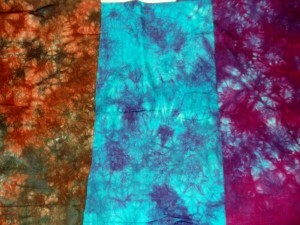 each participant will take home three yards of coordinated color dyed fabric or you can bring your own fabric/dyepot and just pay $5 for the chemicals for each pot, but your fabric may not turn out like the sample. Dyeing is messy so wear old clothes. When: Thursday No vember 10 @ 5:00 p.m.